The World Needs A Stronger Blog...: Hilly Kristal has died. He was 75. Hilly Kristal has died. He was 75. It is with deep sadness and regret that we inform you of the death of Hilly Kristal, who died on Tuesday, August 28, 2007 from complications from Lung Cancer. 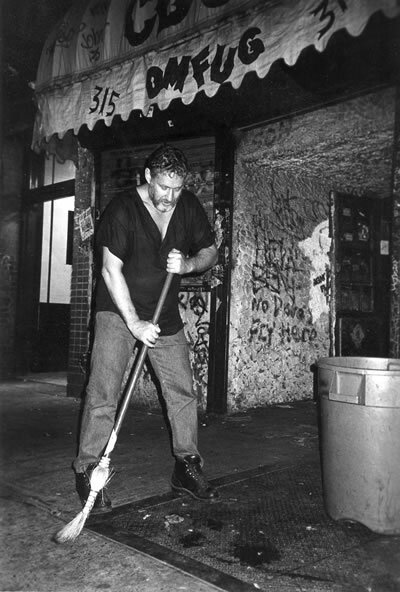 Kristal, 75, founded the legendary rock club CBGB and ran the club for 33 years. A singer and songwriter himself, Kristal opened the club to showcase "Country Bluegrass and Blues"; instead the club became a breeding ground for Punk rock. Among the many acts that called CBGB home were Blondie, the Talking Heads, Television, Living Color, Patti Smith and the Ramones. The club closed in October 2006, but CBGB continues, with a retail store in New York City and worldwide merchandise sales; in addition, there currently are plans to open new CBGB clubs in several locations. Kristal is survived by his daughter, Lisa Kristal Burgman, son, Mark Dana Kristal, son-in-law Ger Burgman, grandchildren Jenny and Adam Burgman, CBGB, and the thousands of artists and musicians who played the club. A private memorial service is planned. A public memorial will be held at a later date. Contributions in Hilly's honour may be made in his name to the American Cancer Society or to the Hilly Kristal Foundation for Musicians and Artists (168 Second Avenue, PMB 207, New York, NY 10003). So what's going on with Kristal's former haunt these days? It's been gutted and "walls plastered with yellowing flyers and holes in the floor where the bar and stage once stood" are all that remain. Apparently the air inside still reeks of its rock n' roll past - Ah yes, that sweet smell I know all too well - mold, stale beer and cigarettes. In spite of that, the space will rent for around $200 per square foot - a far cry from what it rented for 34 years ago - $600 a month. So far there have been inquiries from art galleries, retail shops and high end companies, but no takers yet.